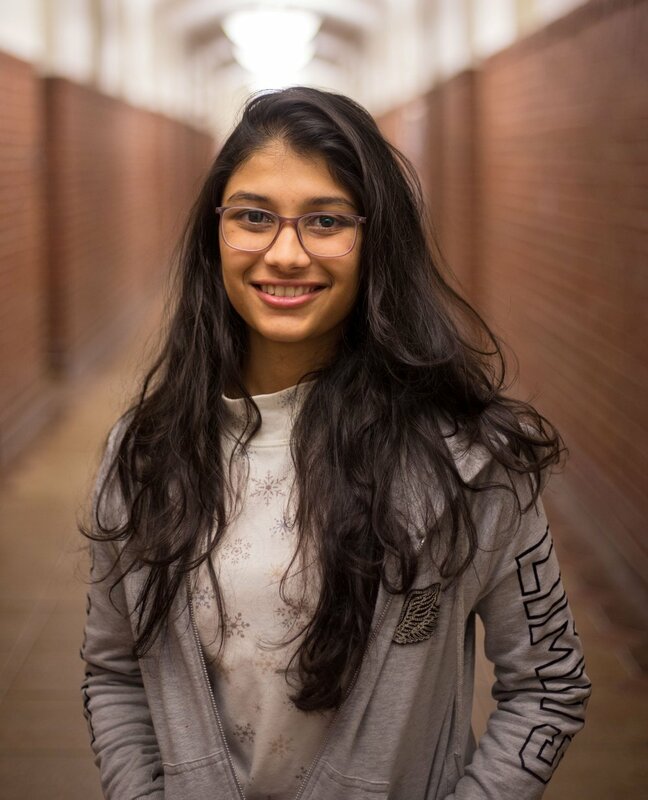 Khushi Dhruv is a first-year student attending the University of Tennessee at Chattanooga. She chose UTC for its strong psychology program, which prepares students for psychology-related careers in medicine, business, law, and other fields. The psychology department also prepares students for graduate study, offering undergraduate research publication opportunities in the student-run journal Modern Psychological Studies. Khushi plans to earn a master’s degree and pursue neuropsychology after finishing her undergraduate studies. She hopes to conduct academic research and may someday open her own practice. Moving to Chattanooga was exciting, Khushi says, but also a big transition. She grew up in Mumbai, an enormous city where she was always surrounded by tons of people. “The food is also very different, and I miss the spiciness of Indian cuisine,” she says. Moving to a smaller city in a new country was a shock at first, but Khushi enjoys Chattanooga’s laidback atmosphere. Now, she is making the most of her time in the Scenic City. Her favorite spots include the Tennessee Riverwalk, which stretches 10 miles along the Tennessee River and through town, and the historic Walnut Street Pedestrian Bridge. 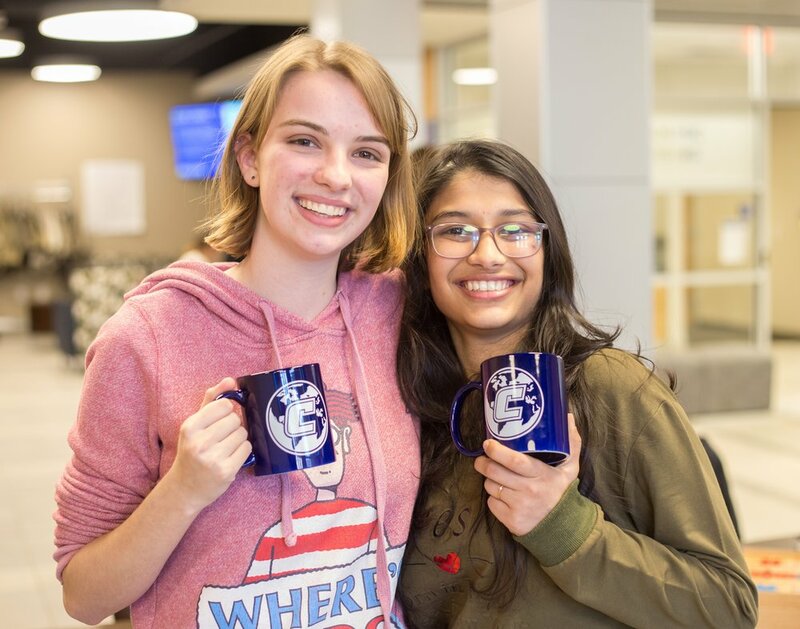 Starting over was challenging, Khushi says, “but I’ve made new friends with other international students and domestic students since I arrived.” In her free time, she enjoys cooking, exploring local restaurants, and attending campus events such as International Tea Time. She spends a lot of time in the UTC Library, studying and enjoying its quiet ambiance. She also likes walking through campus with friends and taking in the region’s natural beauty. Tennessee is sometimes referred to as the “buckle of the Bible Belt,” an informal group of about 10 states in the mid- and southeastern United States. And with good reason. 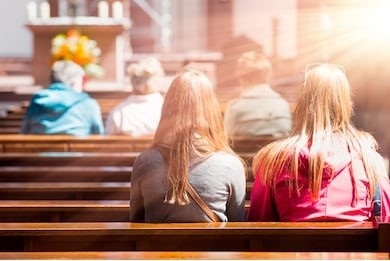 More than half of Tennesseans consider themselves religious and nearly three quarters attend religious services with some regularity. The religious population is predominantly Evangelical and Protestant, with just under a third being Baptist. Other major mainline denominations include Methodists and Presbyterians. Many Protestant denominations have established their flagship colleges or schools in Tennessee while the Methodist and Baptist churches both have large publishing houses in Nashville. Keeping track of the denominations: how they spread, broke apart, and rejoined to their current status can be confusing. Terminology, such as whether they consider themselves to be evangelical, Pentecostal, charismatic, Calvinist, or liberal is just as perplexing. Even to those who go to church. Nevertheless, people can be passionate about their beliefs or worship style but you do not have to agree with them. Simply be respectful and do not argue. Express what you are comfortable with. 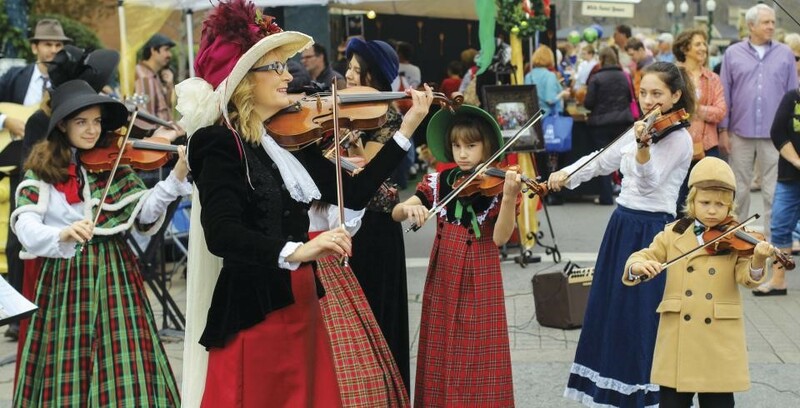 Tennessee has very few Catholics, Jews, Buddhists, Muslims, or those of other faiths. However, you are still likely to meet some of these people here as well. On the rise around the country, and even in Tennessee, is the number of people who do not identify with any particular religion. They may consider themselves spiritual seekers but haven’t settled on a belief system. If this is you, there are several good reasons to consider any one of the religiously affiliated schools in Tennessee. The faculty and staff are sympathetic to students seeking a spiritual home and dedicated to creating a safe place, physically and academically, for students to learn. As a student, you will likely find some level of biblical literacy and moral living required but no particular profession of faith. As well, your like-minded classmates may or may not share your beliefs but are open to thinking through the issues with you. Generally these types of schools are privately funded. Therefore, they have more latitude to consider education as a holistic enterprise rather than job preparation only. Many religious schools have good reputations as being academically rigorous. You can be confident that you have received an honest and well-respected degree. February is the month of celebrating love. In elementary schools everywhere, children will be giving cards to their classmates and having Valentine’s Day parties. It is a good time of year for candy companies and jewelry stores as lovers shop for engagement rings and anniversary trinkets. But love is a complicated thing, isn’t it? Besides romantic love, we have love for our families and countries. And we value our time and possessions. It is hard when we love people but can’t be with them. Or we depend on people who disappoint us. How do you deal with these things? If you are interested in what makes people “tic” or if you want to help them sort through their relationships and gain self-confidence, then you might look at taking psychology classes during your time as a student. Even if you do not want to be a psychologist, it is likely that you will take a psychology class at some point. Psychology can be highly theoretical, yet many programs focus on practical applications. Many different fields make use of psychological principles as part of a broader understanding of their subjects, including law and business. Some schools have programs geared toward the health sciences; some concentrate in educational and child or school psychology; while others focus on economic patterns and how psychology affects the workplace. In the United States, you must have at least a Master’s degree in Psychology in order to practice in the mental health field. Each state has its own licensure requirements. Here are some licensure requirements in TN. Tennessee has specializations in Behavioral Psychology, Clinical Psychology, Industrial/Organizational Psychology, and School Psychology. Tennesseans love to celebrate Christmas. Trees come up and decorations go out in November. Some places love to celebrate big. 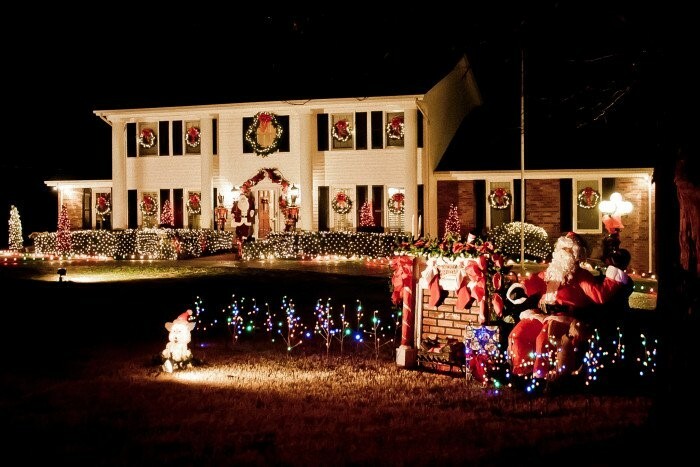 Take a look at some of the ways Tennesseans go all out to show their big Christmas spirit! As the temperature dips and the leaves turn color, people’s thoughts turn to comfort foods and cozy, family settings. The holidays are a busy time, especially for those in what is called the hospitality industry which includes a variety of concentrations such as food service, hotel management, and tourism. The United States relies heavily on its service industries and the International Student Guide says that it has the best hospitality schools in the world. This field needs someone who loves to interact with the public and is willing to work hard, yet stay creative and have fun. It is also a field in which a good understanding of business practices will help you advance. UT – Knoxville recognizes the intimate connection between business and hospitality. Aside from Hotel, Restaurant and Tourism Management, you can major in Retail and Consumer Science. Carson-Newman University also has a broad major, Consumer Services that will allow you to go into a variety of fields, including fund-raising. Product managers and sales representatives need to understand how consumers behave because retail suppliers also needs to draw shoppers to their stores and give them a good buying experience. Lipscomb University has a Hospitality and Entertainment Management program in their George Shinn College of Entertainment and the Arts. Hospitality overlaps with many different fields of study. They encourage collaboration with those in artistic fields. Southwest Tennessee Community College has 3 associates available as part of hospitality management: Hotel Management, Restaurant Management, Culinary Arts, each one giving you a very practical, job-ready education. Maryville College takes a different path and specializes in Outdoor Studies and Tourism. 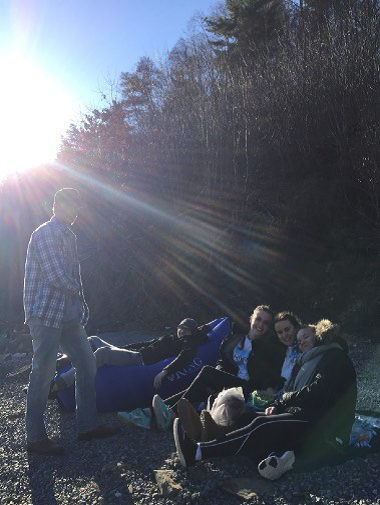 If you are interested helping people find outdoor adventure as well as promoting environmental conservation, this school is designed for you. Each of these schools are conveniently located near centers of the industry from which you may find internship opportunities. It was a hard decision to leave home. I was deciding to leave everyone and everything I have ever loved in my beautiful Madrid. I did it. I decided that studying and swimming in the US was going to make me happier than staying home. I could have never done this without the support of my family, so we did it. I had never been to the United States. I did not know anything about this country apart from what I heard from a couple of friends who swam and studied here and the American movies. All I knew were stories but I did not have a clue of the culture I was getting into. It was in March 2016 that I decided King University in Bristol, TN was the right school for me. In August I flew to New York city with my mum and my sisters and we stayed there for a couple of days. New York is just as amazing as it can get. After those days, we flew to Bristol. Bristol is so different to everywhere I had ever been in my life. Everything I had ever known was different. I guess I could say it was scary at first. I got to know my team, I got to know my neighbours at my dorm, I got to know more incoming freshman who were internationals and Americans too; and since that moment on I knew this was going to be my second home. King is now my home away from home, my safe place. I am not only getting an academic education, I have learnt so many things about myself here. I have learnt way more than chemistry and biology, I have learnt and I am still learning about life. Everyday I discover something I did not know. This place has shown me how the world can have infinite perspectives and points of view. I learnt how to be independent, how to trust myself and how to not trust everyone else. I know now that we are powerful enough to make our own decisions and that we need to deal with all the consequences of those decisions. I learnt how to manage my time better. I learnt what missing someone actually felt like and how we are the choices that we make and how we deal with them. It was not always easy but I can proudly say it was worth it. I learnt things not only about myself, but also about others. I have a new family at King. I met so many people who are now a priority in my life. Most of the friends I made in Bristol are the people I want to share my life with. They have made me better in every single way. Being involved in a sport enables many international students to study in the United States through scholarships. Schools gain quality athletes and diversify their campuses. Attending school in the United States gives athletes the option to continue playing a beloved sport while pursuing an education. Being an athlete in the United States will give you a chance to meet more people and travel around the region. Your team can be a great support network for navigating life in a new place. However, this can have its own special challenges for befriending classmates who are not athletes, participating in other college life activities, and having time to study. No matter what avenue of recruitment you use, you will likely be placed in a school that is competing at an appropriate level for you. The NCAA is the Association in the United States that determines the rules for many intercollegiate sports. They also set financial, academic, and eligibility standards for member institutions designed to keep competitions balanced, provide gender equity, and create opportunities for every athlete. The NCAA groups schools into three tiers that roughly follow the size of the school and the amount of money the schools spend on the programs and fan base. NCAA is protective of the amateur status of all college players. Playing against professional teams or accepting money for playing in your home country may impact your eligibility. See www.ncaa.org or PrepScholar for more about NCAA Divisions and rules. Not all sports at all schools are governed by the NCAA. 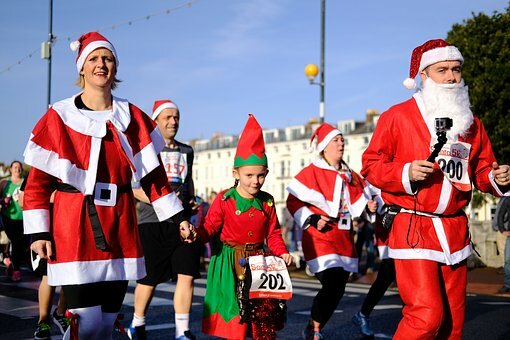 There are also other smaller associations a school may belong to. Scholarships may or may not be involved with these sports. Several schools in Tennessee have unusual sports you might be interested in watching or participating in for fun. For instance, the University of Tennessee, Knoxville has a rowing team. You can bowl at Lincoln Memorial. King University has an excellent wrestling program as well as a brand new gaming team. Cheerleading and dance has risen in popularity in the United States for both men and women. The business degree is a popular degree because it is so versatile. If you enjoy numbers, you can work in accounting or finance. If you care about people, you might concentrate on human resources. If you are creative, marketing might be for you. Even if you want to work in a field like art or sports management, understanding how your business works can give you and edge. Many small business owners or self-employers find that taking business class helps them achieve their goals. Ideally, business classes should make a student think objectively about the decision making process. Such research and analytical skills come in handy in diverse careers like law, psychology, and healthcare. Commerce touches everyone in some way and learning about it could lead to some interesting self-discovery as well. Understanding your own goals and the factors in society that impact your business will help you succeed in your chosen career track. Each school in Study Tennessee has excellent business programs. Universities.com lists several in their top 10 picks for 2018. Rhodes College, Lipscomb University, and Trevecca Nazarene University are all small private institutions in large cities. They can provide personalized attention to students while offering them access to major companies located in Tennessee. UT-Knoxville and ETSU are large, public institutions in small to medium-sized cities. ETSU combines technological fields such as computing and engineering into its College of Business and Technology (CBAT). The University of Memphis prides itself on providing a holistic approach to business excellence including healthy living, networking, and business etiquette. They also have The Cook Lab which mimics a Wall Street trading firm. Like the air we breathe, the internet touches almost all parts of our lives. We connect with friends and family. We conduct our banking and pay bills online. We get directions. We ask questions, do business, and find entertainment. If we cannot be with someone in the flesh, we may join them by video. If at any time we want to communicate with someone far away—or across the table—we send them a text message. Technology has made the world a smaller place. It has also made us more distracted and less present in the moments of our lives. How involved can you be in an activity when you’ve stepped out of it to take a picture? Or two? Or ten? 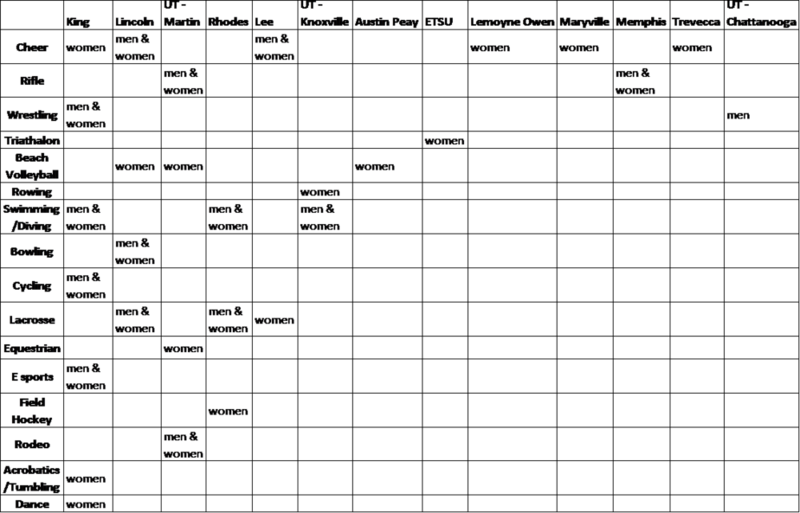 Human beings long to be connected to others. One study of college students in Taiwan showed that students who used the internet heavily tended to be more lonely or depressed. Those who used the internet less were happier with their studies. Presumably the quality of their relationships made them more satisfied. Being able to work through issues personally with your professors or coaches will make you feel more competent and empowered to help yourself in the future. Another study looked at the motivations that college students have for using the internet. It found that students who were creating social networks were better adapting to their study abroad experience as opposed to those who mainly wanted to stay in touch with family and happenings in their home country. From this, we see how powerful technology is to both connect and disengage us from life. This is not to say that you cannot use the internet a lot or that you cannot stay in touch with your family. You need to maintain a balance in your life. You should care about your friends and family at home. But you also need to participate in your own life where you are. Even when you have a bad day are frustrated with your new culture, you will be able to work through it better with friends. If you only use the internet to escape life, you will continue to be unhappy with unsolved problems. So make the internet a tool that supports your life, not something that keeps you from it. The Foreign Affairs Manual (FAM) is an instruction manual for Department of State Consular Officers. Inside, a set of reciprocity tables provides a baseline as to what the validity period and number of allowed entries will be for visas issued for nationals of a particular country. Consular officers do have discretion to alter the visa validity period, for example, but a new provision at 9 FAM 403.9-4(C)(b) is telling them to be judicious in not following the reciprocity tables and limiting visa validity. The line of thought is that limiting visa validity may lead to complaints by the host government that consular officers are biased and the United States has failed to accord reciprocal treatment to the host government’s nationals. Such a practice may also result in an unnecessary increase in workload. The reapplication rate of aliens with limited visas is relatively high at many posts. Therefore, the period of time and the number of applications for admission for which a nonimmigrant visa is valid must not be restricted without due cause to less than that permitted by the reciprocity schedules and only with the concurrence of a consular manager. If due cause to limit the nonimmigrant visa is not present, then an officer should issue a full-validity visa. Limiting visa validity may also impact the equities of other parts of the United States government. It makes good sense when you think about it. These tables are based on reciprocal treatment between countries. If consular officers are regularly ignoring the reciprocity tables and limiting visa validity, other countries can cry foul, and this presents a diplomatic problem. ~From a blog post by contributor, Adam Cohen. You will notice that Americans love the game of football. Not soccer, but American football. In September both professional (National Football League, NFL) and school teams begin playing. Almost all public high schools have a team. It is part of the shared American experience to have spent Friday nights in the stands cheering along with the cheerleaders, eating concession stand foods, and watching the bands play half-time shows. The best high school players can capitalize on their talent for college scholarships. College football generates an average of $30 million for schools with a good football program, far more than any other sport. You will definitely want to take note of the University of Tennessee football team, the Volunteers. Their colors are orange and white. They have especially celebrated rivalries with Virginia Tech Hokies, Georgia Bulldogs, and the Florida Gator teams. College football playoffs generally wrap up around Christmas as players take a break before heading into the spring semester. Football fans will continue to follow their favorite professional teams through January until the Super Bowl, the final game played on the first Sunday in February. 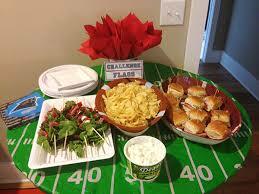 It has become traditional to have parties with special foods designed to be eaten while watching the game with friends. The nation intensely watches for news of the half-time entertainment. There is a lot of interest in watching the commercials as well. Many are specially made for debut during the Super Bowl and could cost $5 million or more this year for a 30 second slot. You can see how football plays into American culture in these films: Remember the Titans (2000), Radio (2003), We Are Marshall (2006), The Blind Side (2009), and Undefeated (2011). Gridiron: A football field is 100 yards long. The center line is the 50-yard-line and the yards decrease by 10 as they near the end zones. Early fields were checkered with lines making the surface look like a cooking grid. The name stuck even though the pattern of lines has changed. Pigskin: the football, itself. When the game began in 1869, balls were often made out of animal bladders. Fortunately, this practice quickly became obsolete. Touchdown: The object of the game is to either pass or run with the ball into the team’s end zone while the other team attempts to gain control of the ball. If a team member is able to run into the end zone or to catch the ball there, that team earns 6 points. Field goal: If a team is unable to reach their end zone, they may kick the ball through the goal post for 3 points. Sack: The quarterback is the player on the field who is calling the shots. This player possesses the ball until he can throw it to a receiver. However, if the other team can tackle or sack the quarterback first they keep that team from earning points. Fantasy football: Friends and coworkers sometimes form competitions based on imaginary teams. 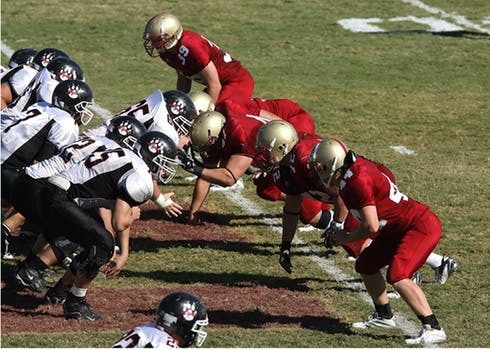 To play, competitors choose from current football players to form their own teams and earn points according to how their chosen players actually perform that season. I can still remember it vividly. Sitting in front of the US ambassador wiping sweat off my forehead thinking about all those sleepless nights applying for schools, studying for exams, interviews, learning English and all those things international students go through in order to study in U.S. I sat there thinking that this decision is probably going to change my life forever. And it did. The next minute, the Ambassador smiled at me as he stamped the APPROVED word on my papers. I wanted to jump and scream for joy, but I had to remind myself that I was still sitting in front of the US ambassador. Everything went well and getting my F1 visa was my last step I had to take before coming to Tennessee. A few weeks later, there I was, tucking my heart and dreams into a suitcase along with a few books, a few clothes, and a picture of my family. I hugged them tightly and then flew across the ocean hoping for the better. A better education and a better journey to learn, to grow, to rediscover myself and new parts of the world. And I did. All of the above. It’s been three years since I left the place that I call home Moldova, a small and beautiful land located between Romania and Ukraine. I lot of things have changed since but one thing I am confident about is that coming to study in U.S. is one of the best decisions I have ever made. I got a better education - different than the one I have ever expected. In my mind, education meant classes, assignments, and projects. That’s it. Instead, I got so much more. Confidence, adaptability, independence, and openness to new ideas, mindsets were only a few of the “classes” not included in the curriculum but somehow I ended up taking. I have always wanted to get better at those. Per my family and friends, I did. Not to mention the importance of a cultural exchange and the gain of a global perspective when going into the job market. You learn how to approach, lead and work with people from different backgrounds. And I believe these are one of the most valuable skills to have. I learned that different doesn’t mean wrong. Each culture is unique and U.S. is one of the most diverse countries. There are so many differences between U.S. and Moldova. It doesn’t necessarily mean that one is wrong and the other is right. It’s just different. In Tennessee, I’ve become friends with a lot of international students and it is beautiful to see different cultures interacting with each other. It is such a gift and the more you realize it, the more you learn to appreciate every ounce of it. There is, however, the risks of losing part of your own culture but you will only lose what you think it’s not worth keeping. And that is something only you get to decide. Nashville became home and Nashvillians became family. I remember when I started meeting people and my accent was entertaining to others. I was even more entertained by theirs, like the Southern one! I remember laughing with tears and making others laugh at the way I was using English words in completely wrong contexts. Everyone around me was very understanding, while patiently teaching me the American measurement system, coins, or introducing me to the variety of food and the food combinations. They were also genuinely interested in the culture I grew up. They were asking lots of questions and welcomed mine without any judgments. A popular place in Nashville to take your picture! Was the adjusting process to American culture easy? No. Was the high caliber American education worth trading for a familiar and comfortable experience? Absolutely! So dear friends, wherever you are in the process, whether is just thinking of coming or whether you are holding your acceptance letter in your hand, my only hope for you to go out, challenge yourself and take advantage of the opportunities which have been given to you (or the ones you have to find). Jazgul and her friends on campus. Good luck on your new journey and hoping for your experiences to be even better, fuller and richer than mine! Today, of course, we understand that the sun and moon are passing in front of one another. Nevertheless, this celestial dance is impressive to watch. The August 21st eclipse passes through a large swath of the state of Tennessee. The eclipse will take place between one and four in afternoon, with totality occurring around 2:30 EST or 1:30 CST. Even those not in the zone of totality will see up to a 93% coverage. NASA has an interactive map that describes where and when the eclipse can be seen as it crosses North America. See map. While you may be leaving some unresolved issues at home, you will most likely be arriving in time to make new friends around the August 21st eclipse. There are many groups that will be organizing to watch the eclipse. Watch for flyers on your campus. Some campuses have a good programs for studying astronomy and may therefore open their facilities to the public. Several schools have observatories and programs that feature astronomy. East Tennessee State University has a research program in astronomy. The University of Tennessee, Knoxville has a distinguished faculty in their Physics & Astronomy program. The University of Chattanooga uses the Clarence T. Jones Observatory which is also open and free to the public. If you simply enjoy learning about the stars, Tennessee has several planetariums you can visit. Bays Mountain in the Tri-Cities area is also a nature park. The University of Memphis has one on its Lambeth campus that is free to the public. Sudekum Planetarium in Nashville offers a range of show and events, including Yoga under the Stars. There are planetariums in Gallatin and Memphis as well. For a list of nearby clubs, visit the Astronomical League’s site. But don’t expect them to bang pots and pans at this eclipse! For decades, American colleges and universities have been a favorite choice for international students. The Migration Policy Institute notes that even though our global share has decreased, the number of international students has increased. Historically, schools and businesses understand that international students are helpful to the economy. Different perspectives create space for new, innovative ideas, which benefit people everywhere. International students who go on to leadership positions at home also build bridges of goodwill between countries. The news coverage about our newly elected President, Donald J. Trump, has created more heat than light, it seems. With lots of mixed signals, this year has been confusing, even for Americans. I hope you will ignore all the noise and remember that we are having an internal dialogue about the best way to balance our safety and welfare with helping others, both American values. International students embody the best of what the United States hopes to bring to its people and give back to the world. Despite the ongoing national debate, I hope you will indeed find that American people are welcoming to international students. Open Doors calculates that there are over 1 million international students in the United States. Many come to the well-known schools in California or New York. However, Tennessee is growing its international student population. Across the state you will get to know the meaning of “southern hospitality,” especially to strangers. If you are looking for a place to be able to think deeply and find yourself as an individual Tennessee is a beautiful, safe place for you to do so. Learning English is a critical step in your journey to study in Tennessee. But learning English is just one piece of the puzzle. You also need to have the certain skills that help you be a good student. Language tests measure your English, but how can you be sure that your skills are ready for college in America? Where should you focus your attention? Should you prepare for a language test, or prepare other skills you will need at university? Every major university in the United States has admission requirements that include a language proficiency assessment for students whose first language is not English. Such assessments are excellent tools to measure language proficiency and gauge your academic readiness for studying in an English-medium institution. Let’s be clear – language tests are carefully and thoughtfully crafted measurement tools. They help university admissions officers select the most qualified applicants for their school. The two most common types of language assessments are the Test of English as a Foreign Language (TOEFL) and the International English Language Testing System (IELTS), each accepted by over 9,000 universities or organizations worldwide. TOEFL is produced by ETS, a US-based testing company. IELTS is produced jointly with the British Council, IDP Education, and Cambridge English Assessments. There is significant pressure on you to perform well on these assessments. Even universities accept students with limited English proficiency can put prospective students into a situation where their focus shifts from skills to scores. Despite an international student’s tenacity and ambition, even the most determined student might not have the skills it takes to be successful in a U.S. college. Not really. Though these tests are accurate measures of language proficiency, you might not be completely ready for university. Even the best assessment, though accurate, cannot completely measure academic readiness. Some students perform poorly on important language exams, while others perform very well. How does the test know if you have the right skills to be successful in a university? It doesn’t. And that’s the point. Even the best test-taker can have what is called a “skills gap.” This means that essential skills are missing for success in university, yet have not been assessed on a language proficiency exam. Some skills that you will need for college: organization, planning, attention span, study patterns, note-taking, research, self-discipline, goal-setting…and I could go on. It is so easy to overlook the importance of these as you prepare for university. Your focus is on one magic number – the admission requirement for your language test – and when you step onto campus for the first time, you may feel completely overwhelmed. There is hope. A skills gap does not mean that you will fail in college. You might struggle, but if you start now, you can be even more prepared than the average American student. You can start improving your skills today. Use your pre-collegiate education to get ready for university! A few ways to start improving now are listed below. Use a calendar to organize your day. With so many digital platforms available, start experimenting with one that works best for you. Or use a more traditional method and buy a paper calendar or planner to carry in your bag or pocket. Study in 50-minute blocks of time. Many college classes are organized into similar time slots, and studying in blocks of about one hour (50 minutes of studying + 10 minute break) has been proven to be effective. Turn off your phone. Yes, it will be difficult. Turning off your phone is a way to clear your mind from distractions and focus on the task you need to accomplish. Plan your free time. It’s important in college to enjoy your time out of class, rather than feel guilty about it. If you schedule your free time, then you can truly relax. Read and write outside of class. Reading and writing for pleasure will make you a well-rounded student who is aware of and knowledgeable about more than just your subject. Set goals and deadlines. This is an important life skill. When you have a goal, you have a sense of purpose (and a sense of achievement when you’ve completed it). When you have a deadline, you are giving yourself boundaries for success. Make a lot of friends. Naturally, when you are in a new environment it will be essential for you to make friends, and this is one of the most important things you can do to be successful. Many schools have clubs or groups where you can meet new people and socialize. Surround yourself with people that challenge and support you. Although not a complete list of the skills you’ll need to be successful in college, they are very different from getting a high score on a language test to prove that you are ready. These skills will make you a better student, now and in the long-term. Focus on your language skills? Yes, of course? Ignore the other skills you’ll need? Of course not! Be sure to apply well before the deadline. You need time to request transcripts and other required documents. This should be your first step. Before you submit an application form, contact the school’s admissions office and ask for a description of the admissions process. Most colleges and universities have different requirements for international applicants. Admissions staff will provide you with the correct application forms, admissions requirements, deadlines, and any other necessary information. Contact the admissions office any time you are not sure how to complete a portion of the application or fulfill an admissions requirement. Ask your questions the moment you need help. If you wait, you risk missing deadlines. Finally, while you may want to talk with someone over the phone, do not underestimate the value of email. If the admissions office sends information in an email, you will be able to refer to it later. Find out what type of documentation the admissions office requires. For example, some schools may accept transcripts through email. Others require official paper transcripts that are sent directly from the school that issued them. If you do not meet the admissions office’s standards for documents, you may not be considered for admission. Be sure to ask about scholarship opportunities and scholarship application deadlines. Some scholarships may have application deadlines that come before the admissions deadline. If you don’t ask early about scholarships, you might miss opportunities. -Enter your name on the application form the same way that it appears on your transcripts or other academic documents. If the name on your transcript does not match the name on your application, the admissions office may not know the transcript is yours. -Apply early. Most schools have an earlier admissions deadline for international students. -Check with the school before emailing transcripts or test scores. Many schools do not accept them through email. Autumn is a favorite season for many, with warm sunny days and cool nights and trees showing their red and yellow leaves. Appropriately, it is time for one of Americans’ favorite holidays: Thanksgiving. The story of Thanksgiving traditionally recalls how a Native American, Squanto, and his friends helped lost Pilgrims to hunt, fish, gather food safely, and raise native crops. In November 1621, the Pilgrims, led by William Bradford, invited the local Wampanoag tribe to share in a feast celebrating a successful first year in their new land. There is some debate on whether this was the first “Thanksgiving” in the new country. Various leaders through the years declared days for Americans to give thanks and sometimes states would designate a day of thanksgiving, each on their own day. Finally, in 1863 President Lincoln formalized a date for the entire country (History.com). Today, we Americans gather with our families and most of us will have a large meal featuring turkey and stuffing. Corn, sweet potatoes, cranberry sauce, and pumpkin pie are also traditionally on menu. If you are able to spend Thanksgiving Day with a host family you could expect to watch the Macy’s Thanksgiving Day parade in the morning, volunteer at a shelter, eat a large meal, take a nap, watch football, and eat leftovers all evening. With a focus on relaxing with family and friends, Thanksgiving is an informal American holiday. People also love Thanksgiving because just taking time to be grateful makes people happier, says Harvard Medical School. But wait, this is just the calm before the storm! While some family members were napping or watching the game, the other half were scouring the newspaper for sales and coupons. Sometime in the last two decades or so, the day after Thanksgiving has become known as Black Friday. Across the country stores open their doors early to mobs of people fighting to get the hottest items before they are sold out. TV crews and journalists come out to report on the crowds and interview shoppers. If you enjoy shopping, check out these top 10 shopping malls in Tennessee. Not wanting to be left out of this marketing bandwagon, smaller retailers have branded the next day “Small Business Saturday.” Customers are encouraged to browse boutiques and local or family-owned businesses. Increasingly, Tennesseans see “shopping locally” as a way to help their neighbors and invest tax dollars in their own communities. This is where you want to go for souvenirs with “local flavor.” If you didn’t find that perfect gift this weekend, never fear; there is always Cyber Monday! According to Mirror, crowd-weary shoppers can leisurely compare a wider range of fashion deals online. Last, but not least, we come to the end of the named days, #GivingTuesday. #GivingTuesday is a social movement to encourage people around the world, not just the United States, to help others through charities or community service projects. Tennessee campuses are great places to get involved with groups that are doing a service project. You will experience the meaning of the phrase “better to give than receive.” And that is something to be grateful for. 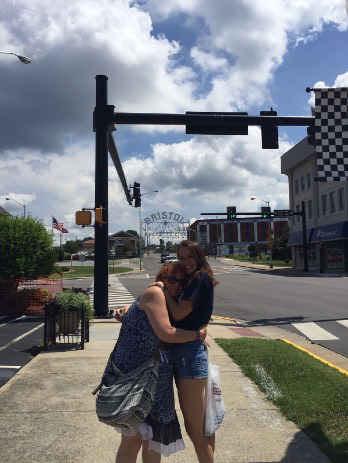 Global Citizens Study in Tennessee - and Around the World! I am a national youth leader from the beautiful land of Botswana, the world’s largest producer of gem diamonds, located in the heart of the Southern African region. Growing up in Kanye, Botswana, the values of botho (etiquette), kagiso (peace), popagano (unity in diversity) were instilled in me as the core principles that are fundamental in the Setswana culture. In all the various leadership activities I take part in, I take the opportunity to share my culture in light of my country’s values. Botswana’s love for cultural diversity is what I pride myself in and the state of Tennessee is in no way short of that. The first time I came to Tennessee was during a campus visit at Rhodes College in the historic city of Memphis, the birthplace of rock-and-roll. Having been in the states of Connecticut and New York for most of my stay in the USA, I was excited to learn about a whole new side of the country that is different from the North East. I discovered a lot about Tennessee which a lot of people do not know about such as the beauty of the landscape, the delicious cuisine, and the vast diversity of cultures, backgrounds and race. I fell in love with Tennessee because to me, this was an untapped land filled with unknown adventures and opportunities. I became a ‘representative’ for acquaintances in both Botswana and the North East who do not know much about the USA South. With zeal, I commenced my undergraduate studies in Tennessee in the Fall 2015 semester. I selected courses in line with international business management which included Economics and Managerial Accounting. I knew that Tennessee had a lot to offer in the business field more especially because of the multi-billion international companies based there such as FedEx. I also took some Urban Studies courses to learn more about the culture in Tennessee, USA and the rest of the world. This combination gave me a different perspective and I got to understand the world better in a different view. I got to attend many activities from music festivals to museum exhibits across the state from Memphis, to Nashville and Knoxville through both school-related and personal excursions which made my experience here even grander. The new connection I formed with Tennessee and the rest of the world inspired me to establish a United Nations chapter at my college in the Spring 2016 semester. The new establishment spurred more conversations about culture and diversity throughout the campus, the city and the rest of the USA as my team and I worked with the United Nations Association of the United States of America (UNA-USA) with the aim of promotingsustainable development goals. Now, many students will get the chance to serve the world with the United Nations Organization through this chapter. This is a very great achievement I am proud of, considering the fact that, currently, there are only two such chapters in Tennessee and I made historic input thereby helping make the world become a better place. This is to show that Tennessee offers great opportunities for student leaders like me to enjoy. Another opportunity I got here was a chance to study at the University of Oxford in England during the Fall 2016 semester on the European Studies program, which features courses including Classics, Philosophy, Greek and Roman History and Literature, and Ancient Architecture. Students on this program study at the British university and visit ancient sites in the UK, France, Italy, Greece, Germany, Belgium, and Turkey. I chose this program for three reasons. Firstly, more international exposure – I got to learn more about different cultures in many countries I have never thought of visiting. Secondly, the unique academic experience – While enjoying my liberal arts education, I got to have a taste of the best European education in one of the best universities in the world. And thirdly, personal development – Having seen and done it all in this program I feel a lot more like a global citizen and a well-informed leader. I am more independent, knowledgeable, and experienced than I’ve ever been before getting this opportunity. I do not think I would have had such an opportunity if I did not come here. Tennessee surely has a lot to offer. I am still waiting eagerly to see what comes next. I strongly encourage adventurous students to come and study in Tennessee no matter their culture, where they come from, or what their life goals are. There are many opportunities waiting to be grabbed.